As one of the most powerful names in beauty, Tom Pecheux is the man behind many of history’s most memorable makeup moments. Princess Diana beaming on the cover of Vanity Fair, the inky black lips of Stefano Pilati’s finest Yves Saint Laurent show, the enigmatic glow on the models of Tom Ford’s Gucci campaigns – just a few of the dynamic images Pecheux had a hand in crafting. 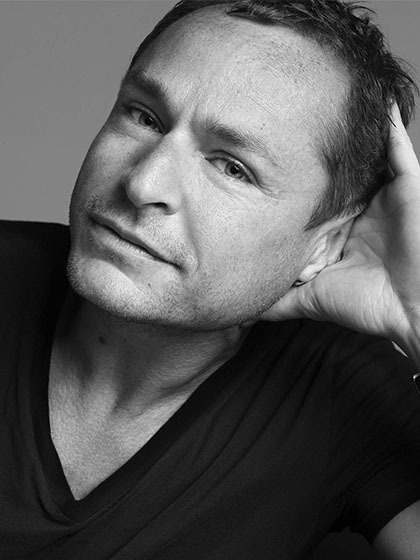 While his influence is certainly felt within the pages of glossy magazines and on the runways of New York, Milan and Paris, Pecheux’s most far-reaching role may be that of creative makeup director of iconic cosmetics brand, Estée Lauder. As the force behind color collections and products for the beauty giant, Pecheux quietly shapes the look of millions of women globally – no small feat, but a role Pecheux takes on with modesty and grace. Talking to the makeup artist is like a guided tour through the last few decades of fashion history and a welcome glimpse behind the curtain and into those now legendary moments.